You know how there are certain people whom you meet and within, like, the first five minutes, you’ve already garnered so much respect for them? Well, it only took me two minutes to feel big respect for Courtnie McIntosh. McIntosh, the Founder of The Academy of Goal Achievers, is the perfect blend of warm heart and serious drive. She operates from both places just so damn naturally, too. 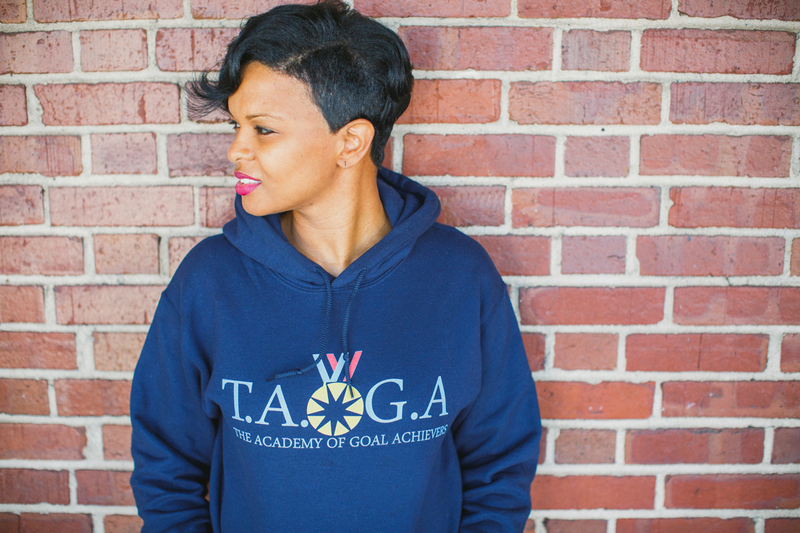 Founded in July 2013, The Academy of Goal Achievers (TAOGA) operates with a simple, but powerful mission statement: provide school and community base youth leadership mentoring groups that will empower young adults to be active leaders in their schools, communities and families. The process by which McIntosh came about forming TAOGA was even more powerful. As a professional in human services, McIntosh was familiar with the case management process. But, she saw a void – a void in which those services weren’t allowing youth voices to be heard; a void that wasn’t allowing young people to be the proactive, critical thinkers she knew they could be. She wanted to create a non-judgmental space where young adults felt that what they say matters. She wanted to help them get where they wanted to be in life. She wanted to be a partner with them as they navigated the high school experience. She wanted to serve as another trustworthy, supportive, knowledgeable, strong role model in their lives. 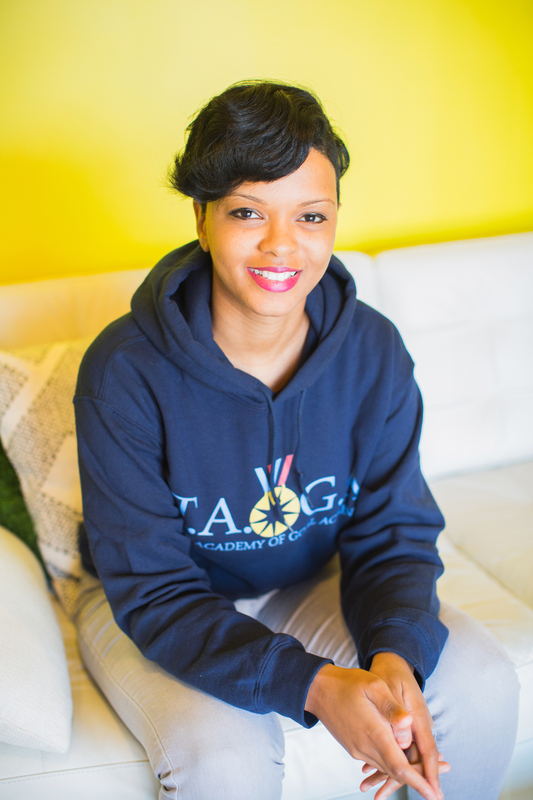 From the get-go, TAOGA wasn’t about McIntosh– it was about the students. TAOGA welcomed their first class of students in September 2015. There were fifteen, high school freshmen from all over Charlotte – including communities as “far” reaching as Huntersville and Gastonia. How’d McIntosh recruit her first class? Social media. She started promoting the upcoming opportunity to join TAOGA– and word spread. First, among students; then, among parents. “I had one or two parents who told everyone else, and before I knew it, I had my first class,” McIntosh remembers. 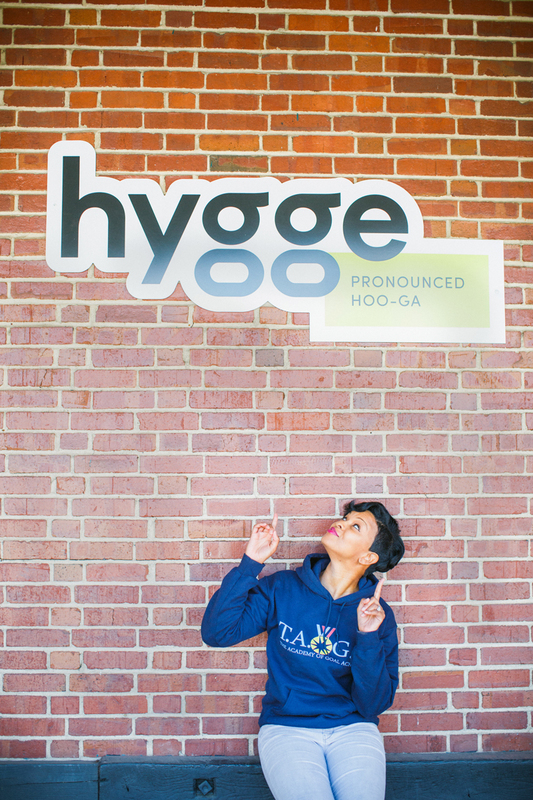 When students commit to the four-year TAOGA opportunity they agree to meet once a month at Hygge for personal development, instruction, and mentoring as well as to take part in impact opportunities in the community once a month. McIntosh plans her curriculum to address the students’ needs for that respective high school year. Freshmen focus on programming to build self-esteem and self-awareness, answering the question of ‘who am I?, sophomores learn more about career awareness, discovering what the options are; juniors hunker down to concentrate on SAT and ACT prep, and senior year is committed to putting it all into action and applying to college. Only a year and half since the first class walked in the door, TAOGA is already inspiring some serious wins. “Every year, we have two youth seniors; this year, both our seniors are going to college – one of whom will continue his education and football career in Kansas,” McIntosh says. There are also seemingly smaller wins that mean a lot to McIntosh. In that case, McIntosh is coaching more than personal development and college counseling – she’s teaching young adults to step up and own their educations and their futures. And she knows what that feels like. Taking ownership of her education changed the game forever for her. She remembers feeling pretty lost in high school; she was concerned about her GPA just so she could keep playing basketball. She didn’t start to think about college until senior year. And so she started Googling. As much as the internet could walk her through the steps to apply, she couldn’t get around one of the world wide web’s recommendations – meet with your guidance counselor your freshman year of high school. The East Meck senior went to the front office, and asked who her guidance counselor was. From there, she kicked it into gear. She made it work. By the next fall, she was a freshman at Virginia State University, a university ranked as the Number 12 institution for historically black colleges or universities (HBCUs) in America by College Choice. Getting into college was one thing. Support to get through it was another. McIntosh went grocery shopping at the Dollar General with that five dollars. McIntosh graduated from VSU in 2006 with a degree in Psychology. Keeping that in mind, there’s a deeper drive behind McIntosh and TAOGA: she didn’t want any student or family ever having to Google the college application process. And she wanted her students to feel that they always had someone who had their back. She has an intern from Johnson C. Smith University’s MSW/BSW Program and a supportive Board of Directors. As well as a supportive co-working community. And what do the goal achievers think of Hygge? What McIntosh is creating for these young adults is more than just a community. She’s building a network of youth leaders who own their journeys – and make a difference. Like, I said – big respect. DAILY GOALS: WHAT ARE THREE THINGS MCINTOSH DOES EVERY, SINGLE DAY? Try to impact lives. “I don’t leave one day without having reached out to someone else,” McIntosh says.